The Athenaeum or Melbourne Athenaeum is one of the oldest public institutions in Victoria, Australia, founded in 1839. The Athenaeum housed a small museum in its early days and then an Art Gallery, which closed in 1971, after which it was converted into a smaller theatre space by the MTC. 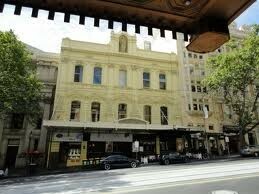 This space, as of 1997 is now home to the Comedy Club and, in the last few years, Melbourne Opera. The library continues to exist as a large subscription library with members throughout Victoria, although its membership has declined from a peak of 7,579 in 1950. The building was added to the Register of Historic Buildings in 1981 and is listed on the Victorian Heritage Register. It has been used as a venue for the Melbourne International Comedy Festival and since 2006 has been the venue for the Last Laugh Comedy Club since it moved from North Melbourne. Queen - It's A Kinda Magic! Lawrence Mooney – Like Literally?